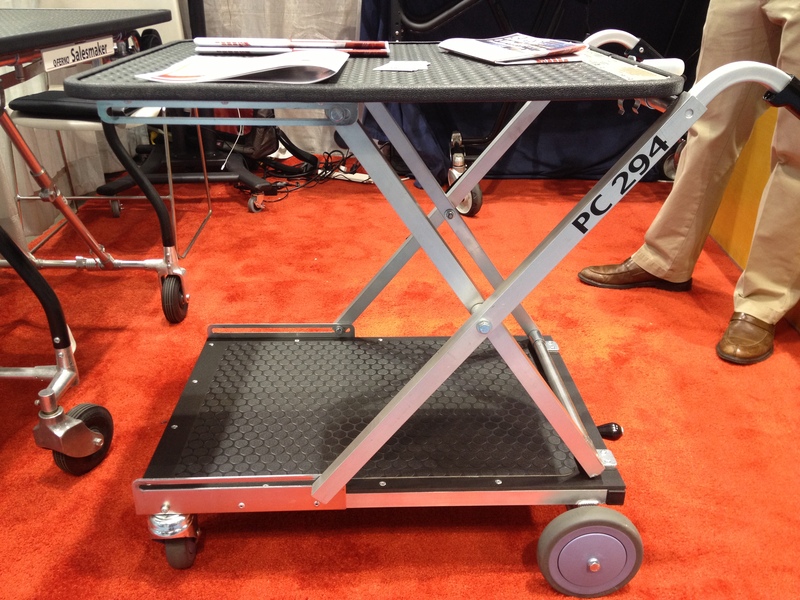 Great Catering Cart That I saw at the NRA Show – It Works! As the founder of the MMS Catering Institute, I am always on the lookout for great catering tools to make catering out of restaurants even easier. Every year, I walk the show at McCormick place looking for innovative catering solutions to the great many operational challenges we have as restaurant operators when it comes to feeding our customers where they Live, Work & Play. This year, the one item that really jumped at me was this fantastic “catering cart”. Here are a couple of photos for you to consider. If you are looking to save space and increase efficiencies with your catering deliveries, consider one of these carts for your vans. I spoke with a company representative at the show and he told me that they can also help you wrap the cart with a branded “skirt” to go over the cart so that when you are walking down the street making your deliveries, you are the coolest restaurant catering company in town! If you are interested in one of these carts, contact SalesMaker Carts. That looks pretty cool. A way better solution than most carts that you see. I still think there is a lot of opportunity in overall in catering transportation and delivery equipment but this looks good. Thanks for taking a few minutes out to comment Doug. I agree. There is alot of innovation work on the distribution side of restaurant catering. Thanks so much for sharing your thoughts! 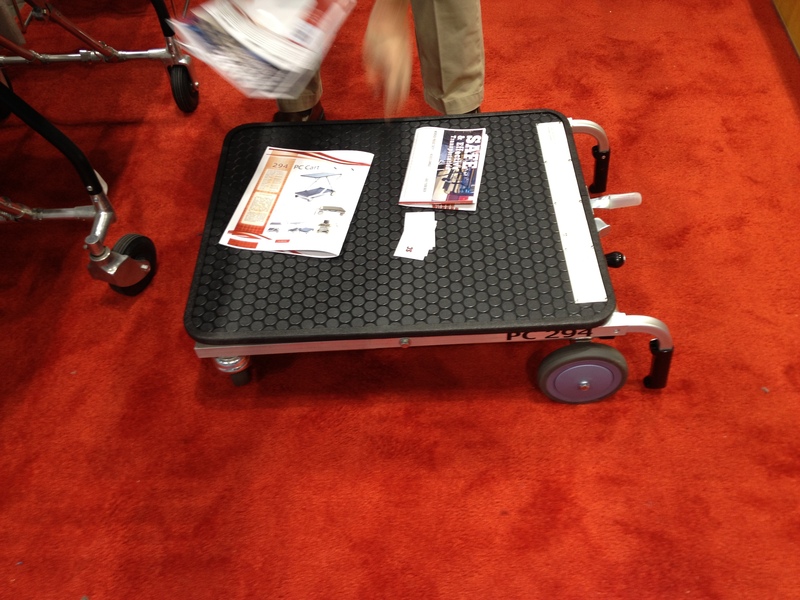 It’s a great looking cart but I will say at $1100 it better be remote control and print a receipt. Used versions on Ebay and Craigs List are still $500. I don’t have many clients that are going to leap for this cart as cool as it may be. Thanks Michael. At the show, they had a special at much lower prices. I will dig further for you. Thanks for the note. I agree that at that price it’s just not doable. We are always looking for new products and would be interested in making similar models if you have interested parties. I have forwarded this onto design and will post back with some idea of costings. Sounds like a wonderful opportunity. Will let our community know.